This Is Your Life was for years a BBC television biographical series featuring notable personality from any walk of life. Such a star must be someone who had made an impactful mark on the society either through direct activity, interventions or whose contribution was a lesson in public good. So was it that a 17-year-old boy, David Butler, was featured in the usually enrapturing documentary. The series ran from between 30 and 60 minutes. It ran first on BBC, then Thames Television and then ITV. Uninitiated you just stumble on it, sometimes while waiting for BBC I News at Nine O’clock, the days of Robin Day, to catch the faces of sensational Angela Rippon and Annah Ford. It was the time we had their twin sisters here with us in Nigeria, in Anike Agbaje-Williams and Julie Coker. The documentary was first presented by Eamonn Andrews until he died in 1987, aged 64. Michael Aspel subsequently took it up as host. Senator Abraham Adesanya was under celebrated, so said General Abubakar Abdusalami, former Head of State. Nothing could have been truer about a unique leader, a leader extra-ordinary, and the leader of leaders. General Abdusalami was speaking at the 10th year anniversary of Adesanya’s departure from earthly life. But May 2 was his Day. What we failed to accord him in life, Nigerians did to him in death. It was a full house of quality people, the prime movers of our society. Olusegun Obasanjo was there. Atiku was there. 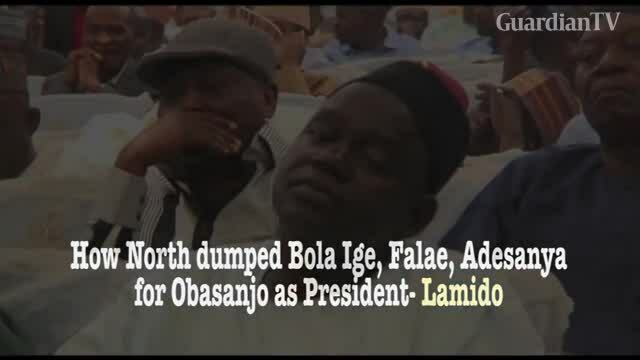 So was Emeka Anyaoku and so was Lateef Jakande. Ayo Adebanjo was there. Deputy Governor of Ogun State, Mrs. Onanuga was present. John Nwodo; Prof. Banji Akintoye; Gen. Alani Akinrinade; Zamani Lekwot; Segun Osoba; Attah, former governor of Akwa Ibom State; Bisi Akande; Bode George; Gbenga Daniel; Amos Akingba; Doyin Abiola; Tokunbo Awolowo-Dosunmu; Nike Akande; Ben Obi and Wale Edun; Ebun Sokoya, Dare Babarinsa and, of course, Afenifere and NADECO warriors led by Yinka Odumakin and Kole Omololu were all in attendance. They all came to bear witness to the memory of a fearless crusader and leader, an epitome of integrity and honour whose insistence, consistency and principled stance, together with the doggedness of his team, led to the return of democratic order in our land in 1999. May 02, 2018 was his glorious day. It is for this reason I have adapted the title of the television biographical series, This Is Your Life to read Abraham Adesanya: This Was Your Life.